Abich is a dynamic Contract Research Organization (C.R.O.) offering R&D and analytical services for third parties, mainly focused on medical devices, cosmetics and topical drugs. 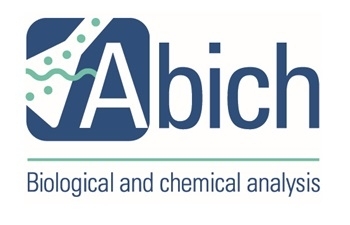 In addition to a wide range of assays in the field of biocompatibility, performance, analytical chemistry and microbiology, Abich offers technical-regulatory assistance and consulting for UE, USA and Canada. The company also is involved in National and international research programs in the field of healthcare. 80% of the personnel hold a Scientific bachelor/master and 20% a Ph. D.
ABICH laboratories spread over 2000 sm and are equipped with a state-of-the-art cell culture and molecular biology facility, a fully equipped analytical chemistry division, a microbiological laboratory, two clinical and cosmetic testing facility and a laboratory dedicated to product formulation & development. Abich has 3 sites in Italy and own a company (ABICH Inc) with 500sm laboratory facility in Montreal (QC, Canada), with further 10 employees. ABICH own a ISO 9001 quality system certified by TUV and operates according to GLP standard certified by the Italian Health Ministry. The Montreal site is FDA approved for Sunscreen testing (SPF). All the facilities are undergoing the GMP certification process in 2017 for chemical and microbiological quality control of drugs.